Inadvertent Tuesday Baking Spaz – Wait…are those…cookies?! Six point five inch cake pans are probably the best invention in the cooking world. Seriously! I had no idea how much I was missing out until they came into my life… I make EVERYTHING in them! 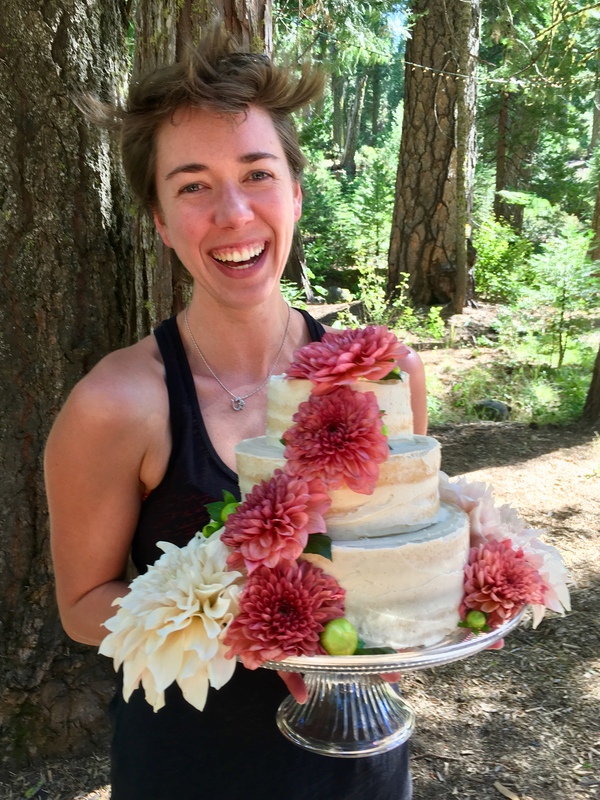 They’re perfect for two people (because really, even I think a 3 layer, 9 inch cake for two is a wee bit excessive), and it means that Kira and I can try even more things, since we don’t have to forage our way through a huuuge amount of food. Perfect. 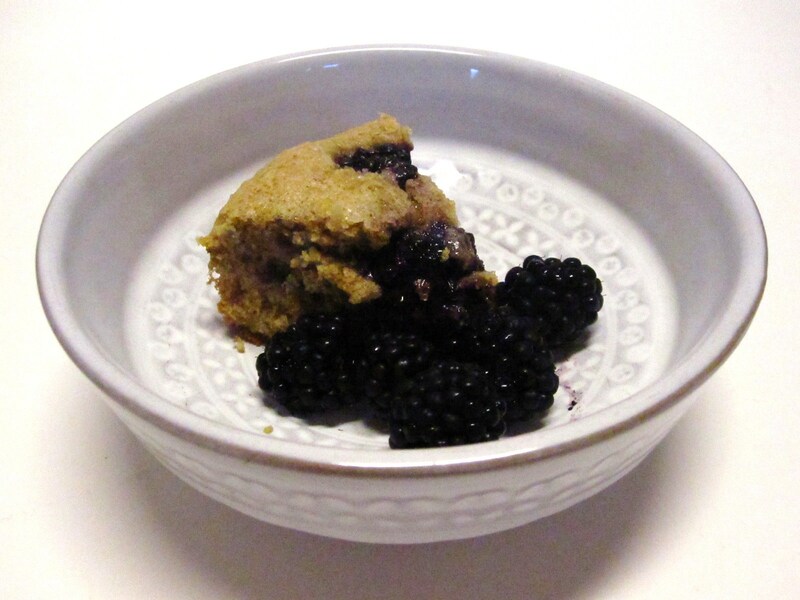 Tuesday’s random baking occurrence happened to involve some blackberries, nicely donated by Kira’s lovely Mutti. 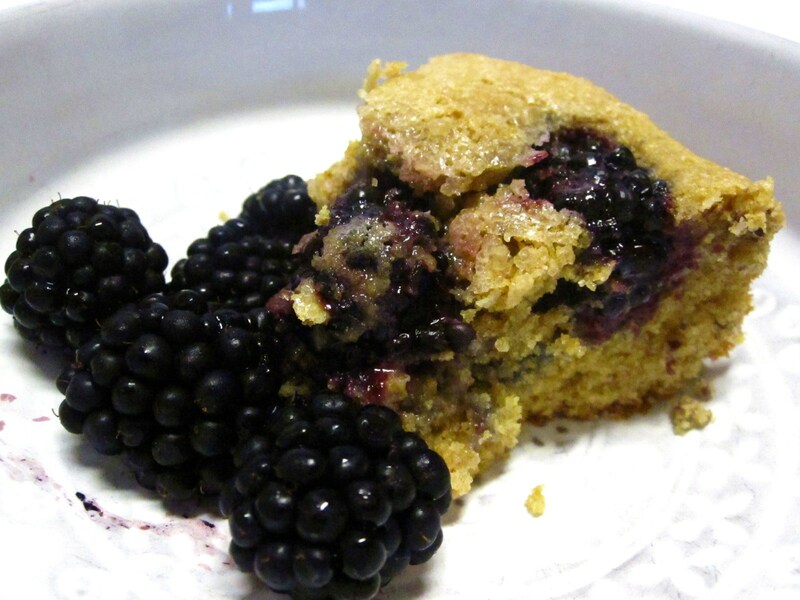 What better use for slightly-tart blackberries than in CAKE?! And what better excuse for breakfast than a whole wheat cake with fruit?! Or midmorning snacking. Or mid afternoon. Or whenever. Anyway. 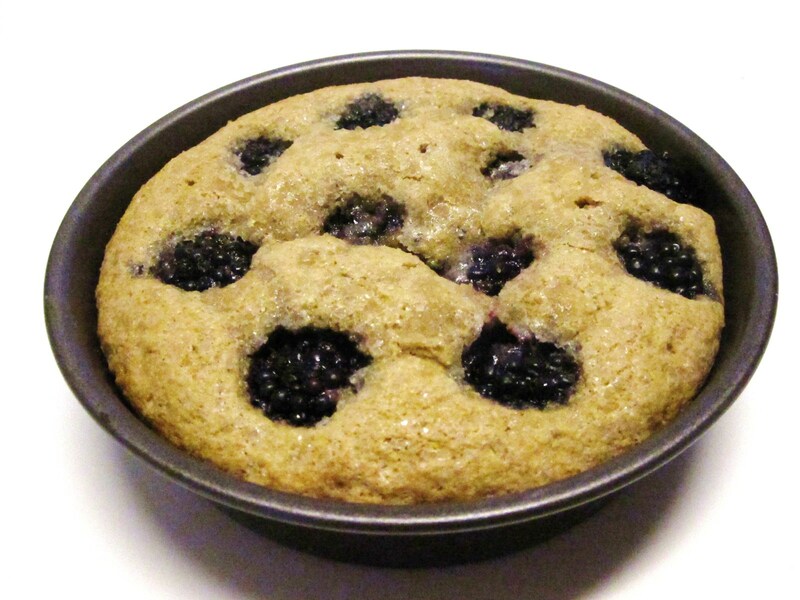 This random baking spaz involved, like I said, blackberries. Lots of antioxidants in those cute little seedy characters. This cake was significantly less sweet than most cakes, which Kira and I really liked. We reduced the sugar a bit, but it has a nice crust of crunchy turbinado, which provides a bit more sweetness. 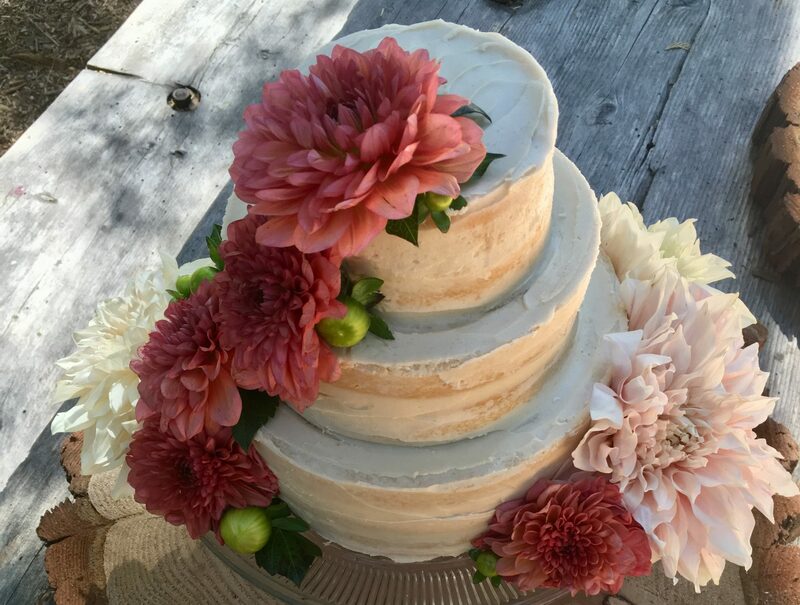 This cake got a definite two thumbs, waaaay up. It really would be perfect for a light ending to a brunch, and I’m sure it goes well with ice cream (what doesn’t?!). Not the most aesthetic, but WHATEVER. It was delicious, and we wanted cake sooner rather than later. Though we made it in 6.5″ pans, I’ll post the full recipe :). We made a few adaptations—I’ll note them in the recipe. Preheat yo’ oven! 350, pleeease. Lightly grease your pan of choice (originally a 9″ round cake pan). 1.5 tsp sugar for sprinkling on the top, for crusty deliciousness! *As you know, I have a penchant for reducing the amount of sugar in recipes. This one originally called for 2/3 c for the entire cake. Since we halved it, I used 1/4 c brown sugar. Kira and I both like it—if you want it sweeter, feel free to up the sugar. If I made the full batch, I’d probably use a scant 1/2 c.
**The original recipe called for buttermilk. We have it, but it’s currently in a bit of a frozen state for preservational purposes… as we (rightly) thought we’d not use it right away. Since plain yogurt is a buttermilk substitute, we used that instead, and thinned it out with a bit of milk. It worked perfectly! I would totally do it again. Whisk the dry ingredients in a medium-type bowl: flour, baking soda, baking powder, and salt. In a separate bowl, beat the butter and sugar with your trusty handheld mixer that you inherited from your grandmutti, until light and fluffy. Add in egg and vanilla. Mix in the flour, being careful not to spray it everywhere with the electric power of the beaters. I do NOT speak from experience this time… well, rather I speak from experience in that it DIDN’T happen this time, so there! Alternate the flour and the buttermilk until you have a batter. It’ll be rather thick. 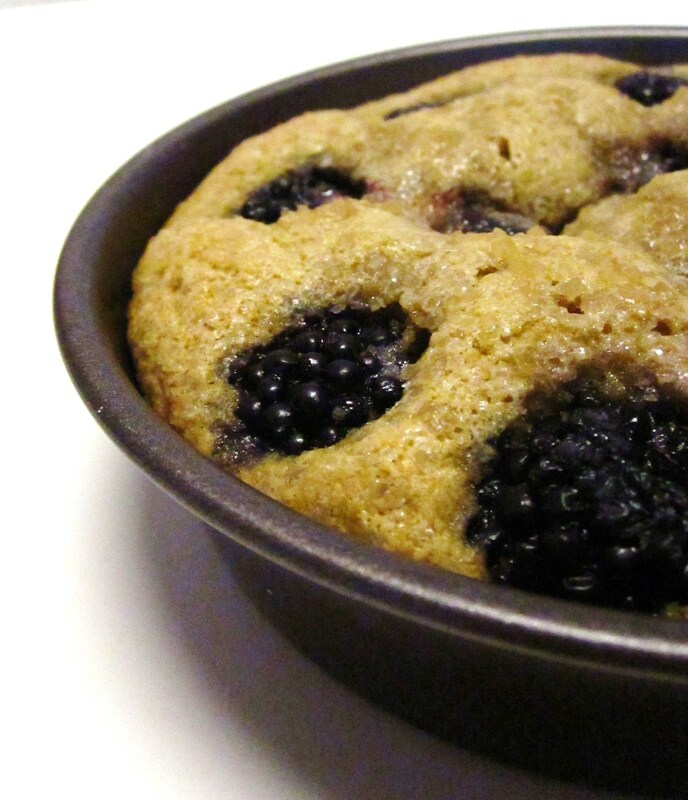 Spoon the batter into the pan, and place the berries into the cake, pressing them down into the batter. Sprinkle the remaining sugar over the top (make sure you don’t skip this—it’s excellent!). We used turbinado, and it creates a super tasty crunchy crust. Bake for 20-25 minutes, or until the cake is golden brown. For a half recipe, it was probably somewhere around 25-20 minutes (just keep checking after 15 until a tester comes out clean). You’re a bit of a baking nutter, but I miss my inadvertent tuesday baking spazzes… whatever that actually means. This looks really delicious. Seriously, we do in-house photography at my employer/food company but it doesn’t look near as nice. Do you have a hot camera? This is cool!!! Recipes and all!! Thanks for getting me on board. AND have a GREAT weekend in the Bay Area!!! Well, you have definitely gotten me thinking about adding a couple of six inchers to our baking arsenal. Not to mention trying this recipe! Next PostNext I am the Queen of Orange!